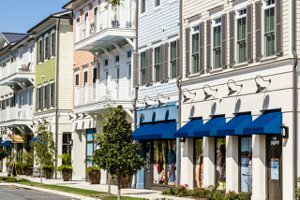 Perfectly situated along a 3-mile stretch of the Cape Fear River, RiverLights is the newest coastal community in Wilmington, North Carolina. The 1,400-acre community has plans for 2,700 homes, with a mix of townhomes, single family homes and a 55 plus community for active older adults. The 30-acre freshwater lake is the center of the community's amenities, with a lake house for community events. But the community also includes a commercial area and the Marina Village which is home to a 112-slip marina, shops, a boardwalk, restaurants, event lawn, walking trails, a dockmaster and more. RiverLights will have multiple mixed-use projects, including a development with apartments. The apartments sit right above a restaurant at the heart of the community's commercial area. 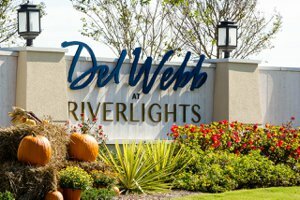 Del Webb Wilmington at Riverlights is one of the premier 55 and over communities in Wilmington NC. Accentuating wellness and healthy living with flexibly designed home features and amenities. The River Lights coastal community is just minutes from downtown Wilmington, and puts residents close to the city's nightlife scene, esteemed medical facilities, cultural events and restaurants. 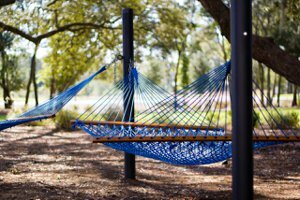 From boardwalks to biking trails and parks with fire pits and hammocks, the community radiates relaxation. But it also offers southern charm that can only be found in the Carolinas. Offering easy access to Carolina Beach, Wrightsville Beach and Kure Beach, RiverLights is coastal living at its best and offers amenities that satisfy every taste and need. Beacon Point is at the heart of RiverLights' outdoor amenities, serving as a gathering place for visitors. 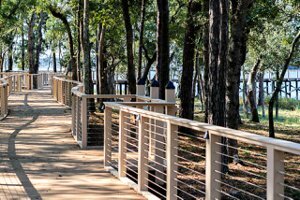 Whether you're planning an outdoor picnic or a walk down the Boardwalk trail, your journey begins at Beacon Point. This recognizable landmark, located at the front of RiverLights, will play host to community events and gatherings with friends. Meander along the Cape Fear River on The Boardwalk at RiverLights. Some say the boardwalk is the best place to watch the sun, but this extensive walking path can be enjoyed any time of day. Pack a picnic. Go for a walk after dining at the award-winning Smoke on the Water Restaurant. Get in your morning run while enjoying stunning views of the river. Relax and unwind under the canopy of oak trees at the Live Oak Commons. Take a nap in one of the many hammocks, or dine at a nearby restaurant. Offering waterfront views, Live Oak Commons will play host to outdoor concerts, events and local farmers markets. The Commons serves as RiverLights' main gathering place; where friends and neighbors can revel in the joys of the day. Make a pit stop at Ember Park as you stroll along The Boardwalk at RiverLights. 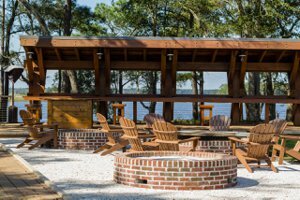 Offering ample waterfront seating, fire pits and picnic tables, the park is the perfect place to start and end the day. Perched above the Marina Village, Ember Park offers peace and quiet; a respite from the sights and sounds of everyday life. Unleash your inner adventurer at Driftwood Park; the gateway to The Boardwalk at RiverLights. Offering easy access to the river, the park is the perfect place to start your kayak, canoe, paddle board or fishing adventure. If you prefer a tamer excursion, Driftwood Park offers an idyllic setting for a late afternoon picnic or meeting with friends. Bring the family to Portside Park, where everyone can explore the area's many pathways and enjoy a relaxing day outdoors. There are many adventures to be had at the shrimp boat-style play structure. Ideal for kids and the whole family, Portside Park gives children plenty of room to roam around and enjoy the afternoon. The gem of this coastal community, the Lake at RiverLights is the perfect place to play and celebrate special events. Spanning 38 acres, visitors are free to kayak, canoe and paddle board on the freshwater lake. The Lake is also home to The Lake House, another prime gathering spot for the community. Whether taking a leisurely stroll with a friend or going for a morning bike ride, The Lake Loop trails will help you forge stronger bonds and a stronger body. Supporting the community's active lifestyle, the Lake Loop offers three miles of walking and biking trails along The Lake at RiverLights. Situated along the western banks of The Lake at RiverLights, Boat Builder Park celebrates the boat builders of our world; the ones who create the vessels we use to explore our water playgrounds. Boat Builder Park will serve as a launching point for kayaks, paddle boards and non-motorized boats. Friends and neighbors can gather and play along the waterfront, which provides plenty of space to roam around. The Lake House is the community's central place for recreation; a place for fun, laughs and relaxation. Soak up the sun in one of the many lounge chairs, or channel your inner child with a trip down the water slide. The Lake House has something for everyone – no matter their age. 70 West Builders brings seven years of experience to the RiverLights community. The builder's expert craftsmen design homes to meet each family's needs by offering customized home plans. The builder's Row Home Collection will include 17 lots along The Lake. Homes feature outdoor living spaces, open entertainment areas and plenty of natural light. 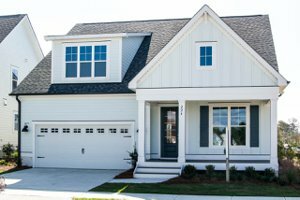 Family owned and operated, the American Homesmith team offers more than 100 years of combined experience, and has been building homes in eastern North Carolina for nearly a decade. American Homesmith's coastal homes feature spacious floorplans, welcoming outdoor living spaces and desirable features. The company's homes embody the outdoor-lifestyle that makes the RiverLights community so special. With more than 30 years of experience, Charter Building Group works closely with homebuyers throughout every stage of the home-building process. The company brings its low country-inspired, coastal homes to the RiverLights community. Charter Building Group's designs complement the community's outdoor lifestyle and waterfront setting, with outdoor kitchens, bright sun rooms and open floor plans. 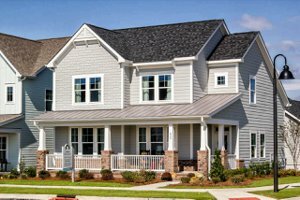 Del Webb Wilmington specializes in building homes for active adult and retirement communities. The RiverLights community will feature energy-efficient homes with a variety of floor plans and designs to choose from. Each home features an open layout, ample storage and modern kitchens. The community will also feature a 15,000-sq.ft. community center. Founded in Fayetteville, H&H Homes started out designing homes for military families at Fort Bragg. Today, the company serves more than just military families, and brings their expertise to the RiverLights community. The company has plans to build one- and two-story homes with lanais, front porches and breezeways on 34 home sites. Plantation Building Corp is a custom home builder that has been building new homes in Wilmington for more than two decades. The company's building process includes a web-based project overview, which allows for real-time communication between homeowners and project managers. Plantation will build 40 new residential townhomes in the RiverLights community. 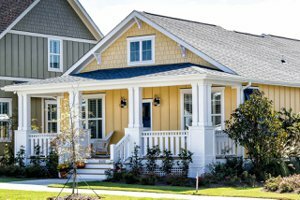 The Cottage Building Company has re-created the charm of the 1920s-style Craftsman home – but with a modern twist at The Cottages at RiverLights. 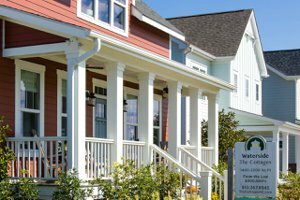 The company brings 20 years of experience to the community, with cape cottages that feature open spaces for entertaining, abundant windows, coastal colors and lush landscaping. The home's designs meld nature with the home's interior. Homes from Trusst Builder Group will feature traditional architecture with Southern style and character. These distinctive homes feature granite countertops, hardwood floors, fireplaces, decorative ceiling features, stainless steel appliances and more. Offering 24 years of experience, the company will bring the amenities and lifestyle features that RiverFront community members demand.